B33.360NI - Various door overlays are achieved by slide-on mounting to a variety of baseplates. The cup boring pattern matches both the CLIP, CLIP top abd INSERTA series, to allow the use of Blum drilling machines. Max drilling distance from edge of door is 3mm. Side adjustment from +0mm to -3mm and height adjustment of +-3.5mm. 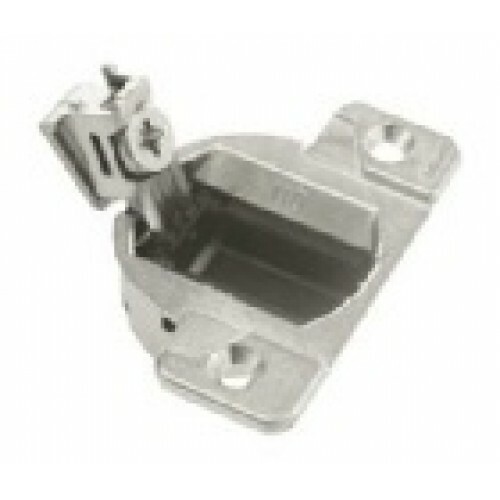 All hinges are nickel die-cast metal construction.